By noting women-firsts, award winning subjects and other women of significance through our interview series, we are assisting in closing the gap between genders. 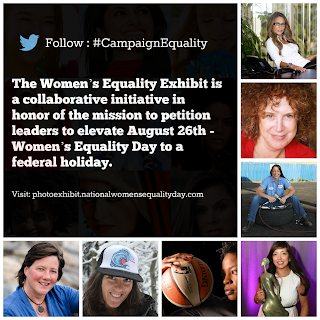 As a further commitment to this effort, we announce the Women’s Equality Exhibit. Help us make a happen and donate whatever you can today! Subscribe via email to "Breaking News". Women For Action 2008- 2015. Powered by Blogger.